Radio Health Journal is an energetic, entertaining, highly-produced, contemporary radio magazine with two major stories weekly. Each week, Radio Health Journal features interviews with guests that have expertise and real-word experience regarding current issues in health and medicine. To learn more about Radio Health Journal, click here. Straight Talk with Debbi features conversations about issues affecting African Americans. You’ve heard it. You’ve seen it. It’s time to STRAIGHT TALK about it. Lifestyle Tucson is a public affairs program from Arizona Lotus Corp. that airs every Sunday morning. The show has various topics that reflect the interests relevant to the Tucson community. The program features guests from the community, mostly from non-profit organizations with tax exempt status. Some programs cover local events of public interest as they pertain to the Tucson and Southern Arizona communities. The programs are on a first come, first serve basis and pending on open availability. There are many requests for the show and in some cases we may not be able to accommodate all requests. In some cases :30 second public service announcements will be aired as well, pending availability. For additional information you may contact Carlos Gonzales, Public Affairs Director at (520) 407-4507 or email at cgonzales@azlotus.com. We thank you in advance for your interest in Arizona Lotus Corp. and we look forward to being of service to you. 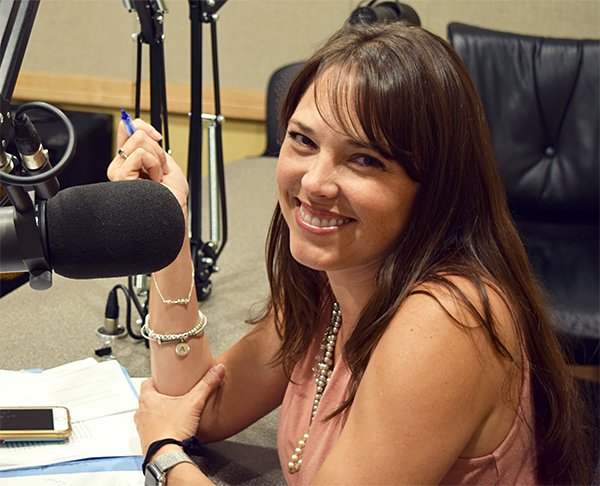 Profiles in Business features Tucson Metro Chamber President & CEO Amber Smith as she interviews a different business or civic leader every Sunday morning. Amber’s guests are the executive leaders who are making a difference in our community. You’ll learn about their companies and organizations, their industries and what they do to create jobs and make Southern Arizona a better place to live.